The claim to the most refreshing drink of the summer may belong to Extra Fancy, a seafood joint in Brooklyn. This frozen blended drink is made to order in a mason jar. That’s right, a mason jar is attached to a good ‘ol Oster blender. Instead of a full blender of the frozen drink, each customer gets their own personal concoction of rosé and frozen lemonade – inspired by a New Orleans party, an Oster blender and plastic mason jars to-go. And the name? Bar program head Rob Krueger says he and other bartenders landed on it after experimenting with the words frozen rosé lemonade. It’s light, refreshing and perhaps the only way you’ll want to drink rosé this summer. 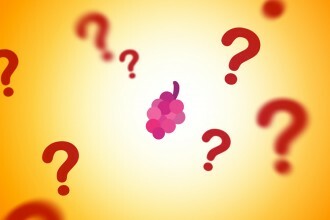 COMBINE rosé, lemon juice and simple syrup in 12 oz mason jar that fits blender blade assembly. FILL the jar with ice (crushed ice works best). KEEP an eye on the drink as you blend it. Make sure that it blends until quite smooth. 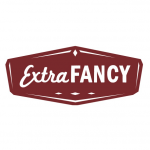 Extra Fancy is a chic-meets-casual seafood restaurant nestled in the heart of Williamsburg, Brooklyn.